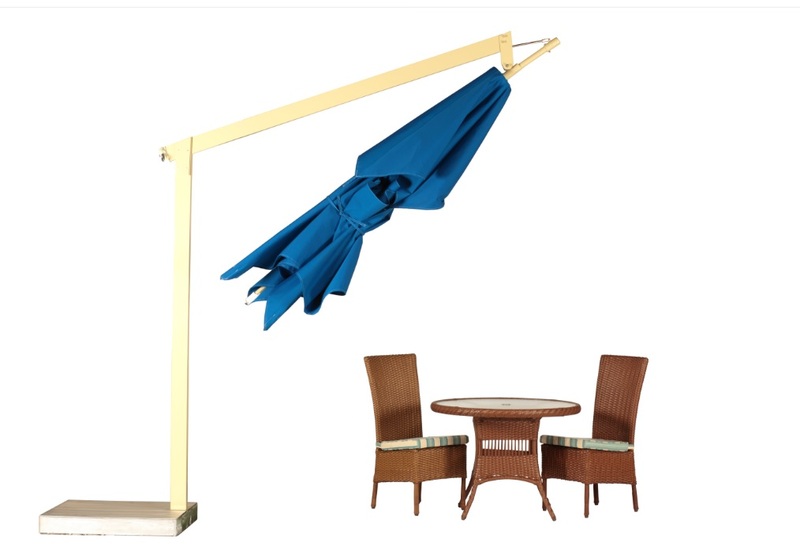 #264 | American Holtzkraft, Inc.
A 10′ square cantilever umbrella with 4 ribs and 2″x4″ pole. 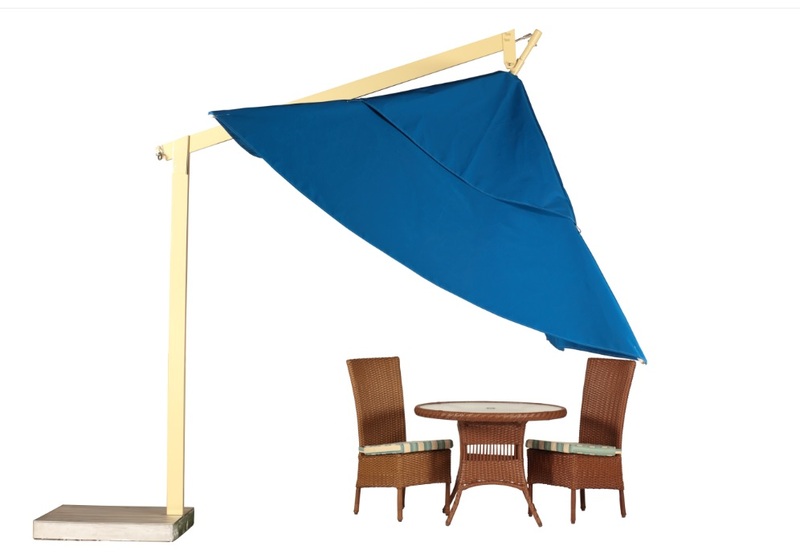 Our new Model #264 10 ft. Square Cantilever Umbrella is completely stable in open position – even in windy conditions – and utilizes a simple, easy to use opening and closing system. The unit opens and closes with a single, safe crank action. The unique design requires no center pole and has a greater clearance height – freeing up precious space. 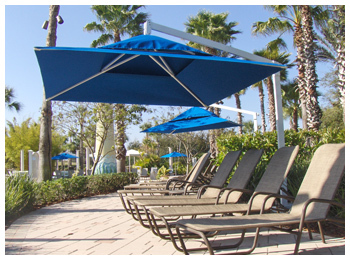 Powder coated umbrella frame and heavy rib construction throughout this product make it an ideal umbrella for the unusual coverage area in your commercial installation. All replacement parts are in stock and easily accessible for in-use servicability. 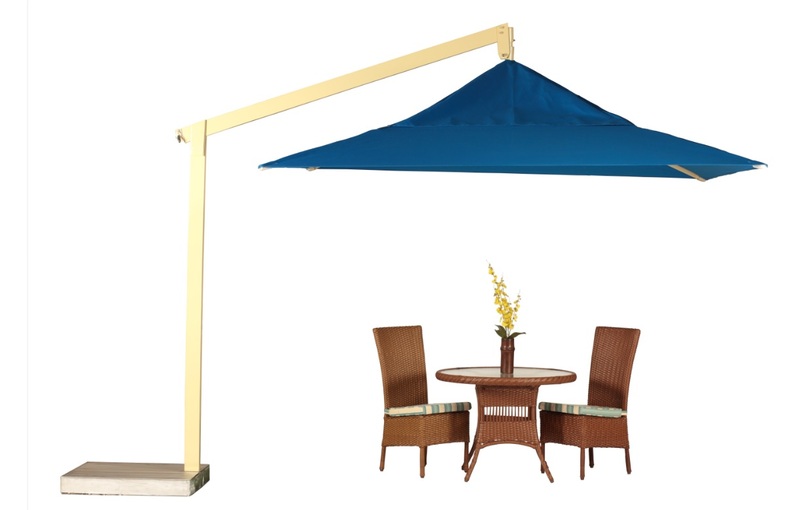 Our cantilever umbrella base uses standard concrete pavers – available at most home and garden centers – as base weights. Pavers can also be shipped via freight from American Holtzkraft, Inc. to any of our customers locations.